While most stars (including our own Sun) will shine for billions of years and eventually fade with a ‘whimper’, other stars undergo violent explosions, instead going out with a ‘bang’ at the end of their lives. Although much rarer, these exploding stars have a tremendous impact on their immediate surroundings and on larger cosmic scales, lighting up the sky, injecting shocks and energy, and changing the chemical make-up of the Universe. This course will begin with a brief history of the discovery of stellar explosions and then explore how and why some stars explode, and why they are so important and interesting to study. Finally, some of the new, advanced surveys with powerful telescopes and techniques that are once again changing our view of these cosmic fireworks will be discussed. 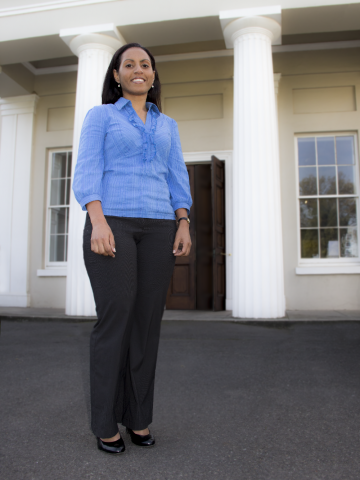 Dr Shazrene Mohamed is an expert researcher in numerical simulations of binary stars and the impact of stars on their environments. After studying for her Bachelors degree at Harvard University, she received a Rhodes scholarship to attend Oxford University where she completed her PhD in Astrophysics. In 2014 she was awarded an NRF Research Career Advancement Award and accepted a joint SAAO-UCT position. She is involved in developing the next generation of models at the South African Astronomical Observatory (SAAO), incorporating improved treatments of important processes (e.g. shocks, radiative transfer and dust physics) into a more advanced code. While the immediate aim is to investigate and improve our understanding of interacting stars and their environments, the work has far-reaching implications for a number of fields. Dr Mohamed serves on the International Astronomical Union (IAU) South African National Committee and is an Associate Member of the National Institute for Theoretical Physics (NITheP).